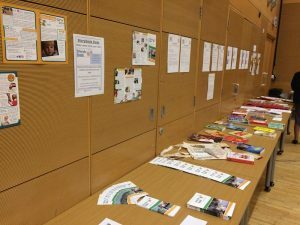 Last month the annual Reading in Prison Day, organised by Prison Reading Groups (PRG), brought together over 100 people to celebrate reading in prison and discuss what books can do behind bars. 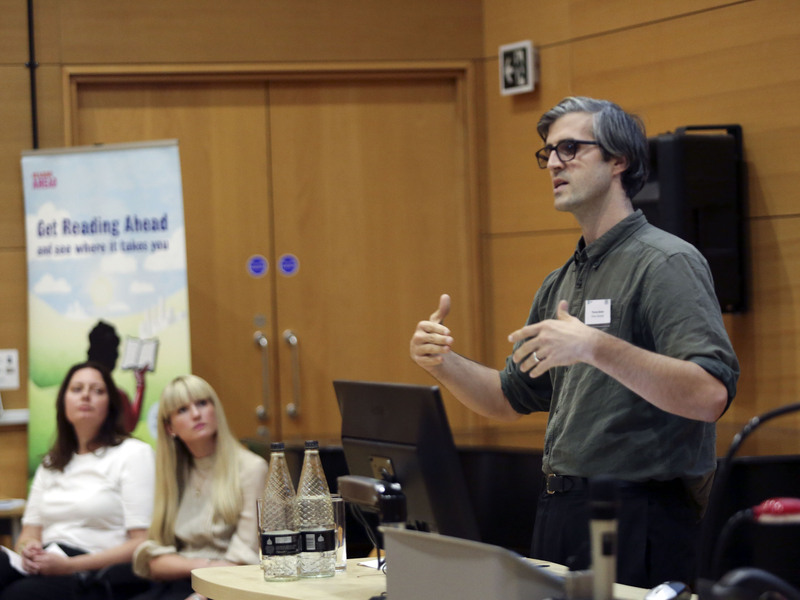 The day took place on the 7th September at the University of Roehampton, and we were happy to be closely involved with this year’s event now that PRG is part of Give a Book. 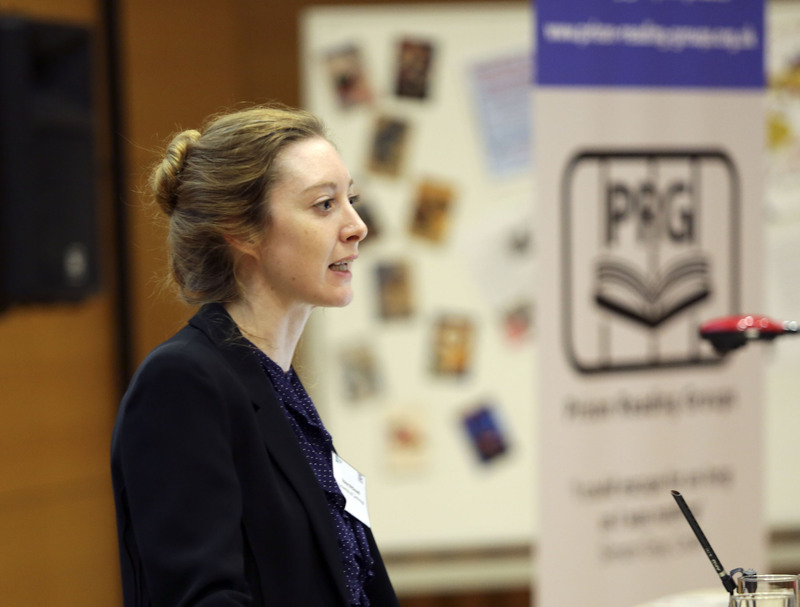 There were presentations from a number of speakers, as well as opportunities for questions, discussion, mingling, and even a short poetry workshop from one of PRG’s reading group volunteers. 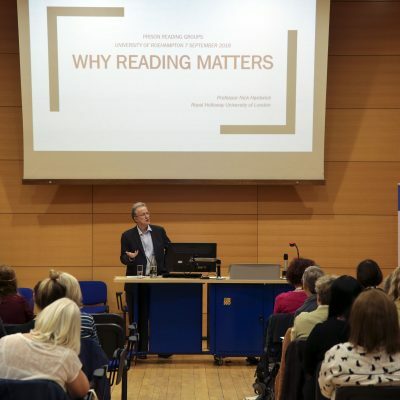 Nick Hardwick, Former Chief Inspector of Prisons, began with an insightful and thought-provoking presentation on “Why Reading Matters” in prisons. Looking at the recent changes in prison population, staffing, and some of the most urgent issues in prisons today was an excellent way to begin a day focussed on how reading can support prisoners and staff as they contend with these challenges. This image from Nick Hardwick’s presentation really stood out – the neat stack of books in stark contrast with the rest of the messy cell. Rachel Tynan, from Unlock, on fair access to education and employment. Topics for the panels included Family Reading Initiatives, Becoming a Reader, and Poetry in Prison. 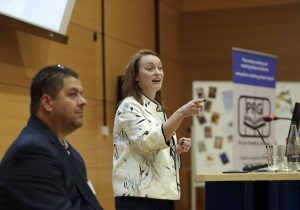 All of the speakers had interesting opinions and experiences to contribute, including brilliant talks on “Keeping Families Connected”, “Censoring Books in Prison”, and “Fair Access to Education”. 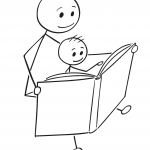 Our prison consultant, David Kendall, delivered a session on “Families and Stories”, which we have been particularly focussed on this year with our project Making it Up and our collaboration with Storybook Dads. 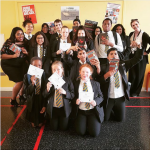 Author Alex Wheatle also joined us for a wonderful session on the power of reading and writing in his life, and his experiences with the prison system. 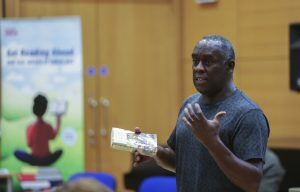 Alex Wheatle talking about the power of reading and books in prisons. 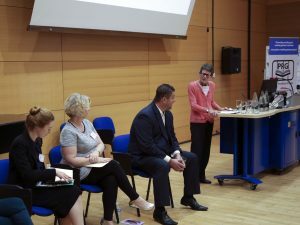 We were pleased that so many prison library staff, reading group volunteers, and delegates from other charities and organisations working in prisons could join us. 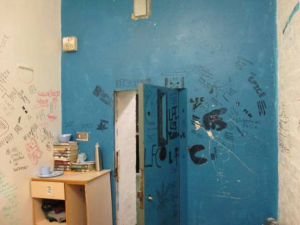 We left full of ideas and also plenty of admiration for people doing such great work in prisons. Materials from prison libraries and partner organisations. Sarah Turvey introduces the “Thinking Big” panel. The PRG cake, with names of all the prisons with active reading groups. 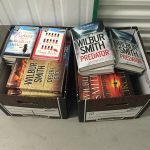 To find out more, have a look at the Prison Reading Groups website.